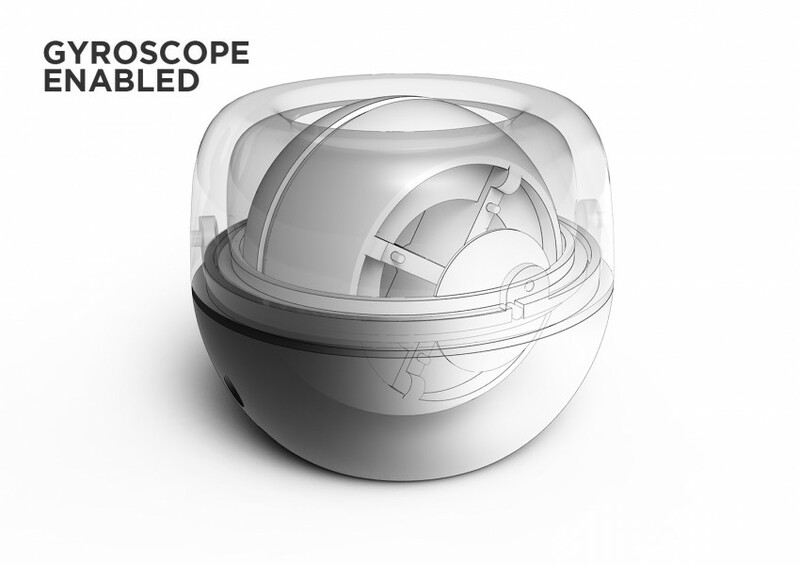 Introducing Gyroscope Technology: The laws of physics. Reinterpreted. Progress. It’s behind everything we do. It’s why we’re always developing new technologies to revolutionize automated pool cleaning. 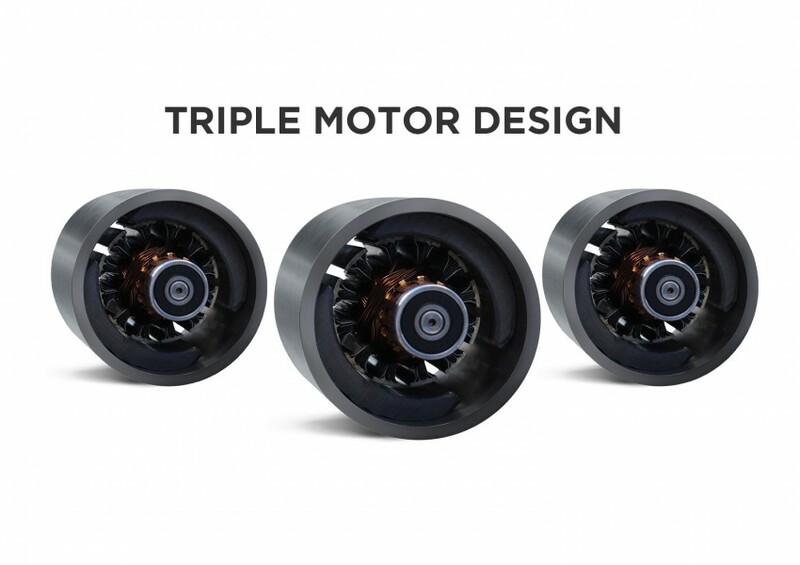 The engineers created new motors and drive systems that deliver improved performance and higher energy efficiency. State-of-the-art DC motors and an ingenious ergonomic design deliver an exceptional user experience while reducing energy use up to 90%. The all-new Dolphin Sigma is the very latest step on our journey of progress. It’s one that brilliantly reflects the engineering expertise that has gone into its development. And it's easy to see why the new Dolphin Sigma is the answer to the changing demands of pool owners everywhere. You can only reach new peaks if you’re willing to push your limits. In a radical departure from ordinary cleaners, the Sigma pool cleaner was designed to clean all pool surfaces including the tile and waterline with pinpoint precision. For the first time ever, a consumer robot is equipped with an advanced Gyroscope to deliver precise control and positioning of the robot. While other cleaners fall from the wall, the all-new gyroscope and triple 3,000 RPM DC motor allows Sigma to remain firmly planted against the wall all the way to the top. Sigma Dolphin pool cleaners reaches every square inch of the pool as high speed spinning brushes handle difficult colonies of bacteria, algae, and biofilm. Sigma reaches deep inside pool corners, scrubs, and vacuums so you don't have to. There are few pool cleaners that are capable of cleaning your pool in a truly satisfying way. It started with a vision. 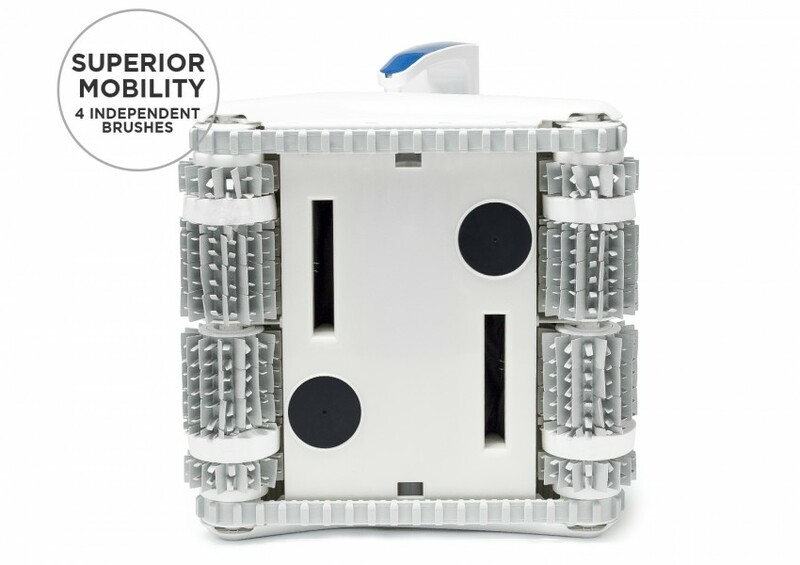 A vision to completely reimagine what we expect from a robotic pool cleaner. Traditional cleaners have no brushes that contact the pool surface. We gave Sigma not one, not two, but three powerful brushes. 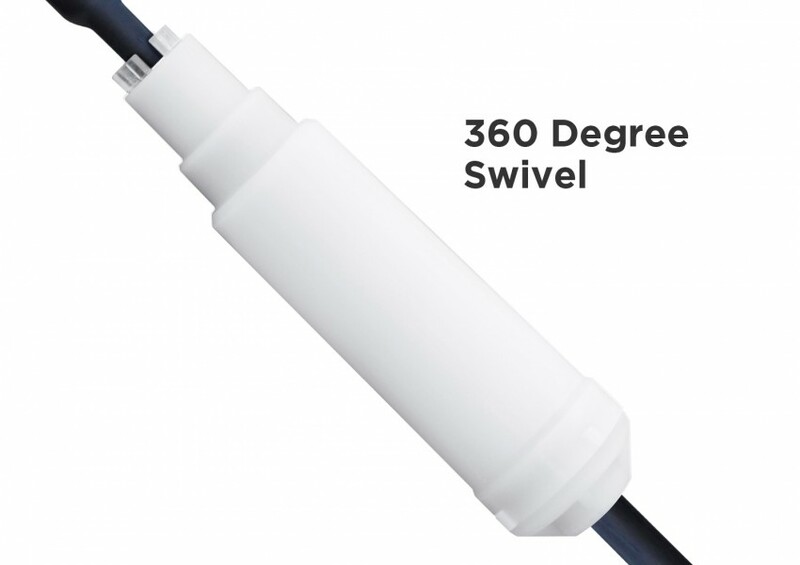 Engineers gave Sigma dual spinning brushes that power scrub the pool surface and a third center CleanSweep™ brush that rapidly oscillates back and forth to dislodge stubborn contaminants. Together, the triple brush systems provides exceptional agitation and brushing performance. In addition to vacuuming loose debris, the new Sigma really shines when it comes to difficult to remove contaminants like algae, bacteria, and biofilm that’s firmly attached to the wall of most pools. There are 21,000 known varieties of algae. Chances are, you’ve dealt with at least a few of them. Resistant to chlorine, biofilm is self-perpetuating and very difficult to remove. Traditional pool cleaners only pick up loose contaminants, leaving stubborn contaminants stuck to the pool wall. But the Sigma attacks stubborn contaminants at their core. Biofilms in swimming pools can and often do lead to cloudy water, algae blooms, scale build-up, and even corrosion. Traditional pool sanitation focuses on treating symptoms rather than the root cause of the cloudy water, algae, or slimy surface. When Sigma is in charge of cleaning your pool, it doesn’t just vacuum. It uses three powerful brushes to scrub every square inch of the pool surface, including the wall, coves, and waterline for a more thorough clean than ever before. Sigma is equipped with programmable run frequency and cleaning duration so you’re always in full control. With programmable modes, you can set Sigma to automatically run when you need it - daily, 2x per week or 3x per week. Sigma comes with a built-in, programmable weekly timer to ensure that even if you are out of town, your pool stays clean and ready to enjoy. Sigma is engineered to clean quickly and thoroughly. This means you can schedule your robot to run less often. Sigma will complete a cleaning cycle in pools up to 60 feet long in just 2.5 hours. The new advanced controls allow you to run Sigma only as needed instead of every day, saving even more energy. Creating more by consuming less. There’s a new mandate that guides the engineering principles of Dolphin. Conserving resources while maximizing output. That’s why the gyroscope enabled Sigma operates on nearly 90% less power than old fashioned pressure side and suction side cleaners. While other pool cleaners can expend a massive 1800 watts of power, the Sigma requires about 90% less energy. Sigma’s triple 24-volt, 3000 RPM DC motors propel its dual scrubbing brushes over every square inch of the pool effortlessly, and with a huge leap ahead in efficiency. This economical balance of power and efficiency is what keeps the Sigma ahead of traditional, power-hungry robots. Even weight distribution between front and rear promotes better balance and allows electrical energy to be converted into propulsion more efficiently. But that’s not the whole efficiency story. Sigma’s 2.5 hour cleaning cycle means it cleans quickly and thoroughly so it operates less.